Do you struggle with how to decorate a small porch? It can be difficult to decorate a tiny area like a side porch or a front covered entry. It’s easy to use too many decorations and tempting to not use any decor at all. The secret is somewhere in the middle. 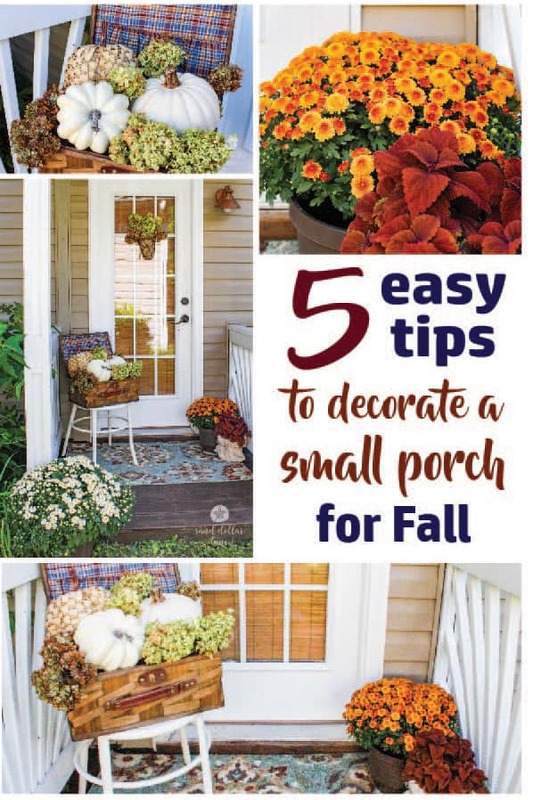 Today I am going to show you how to decorate a small porch for Fall with five easy tips. 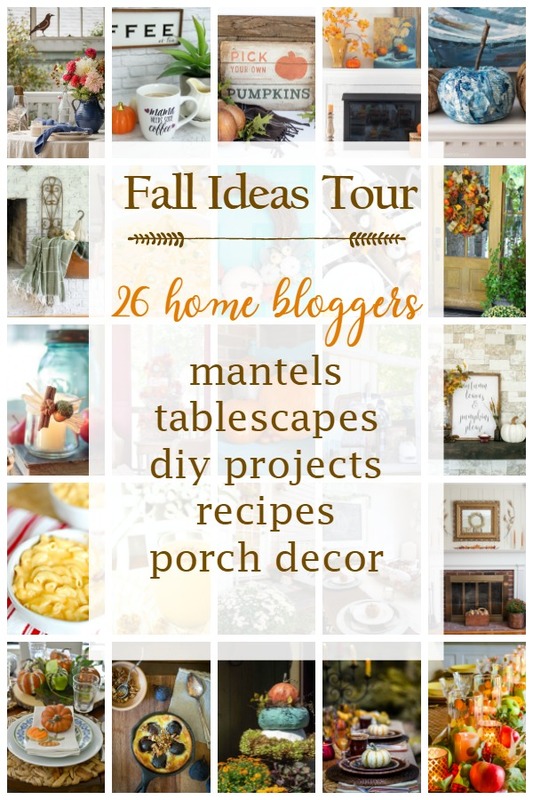 I am so excited to be joining a group of amazing bloggers featuring their Fall ideas this week. 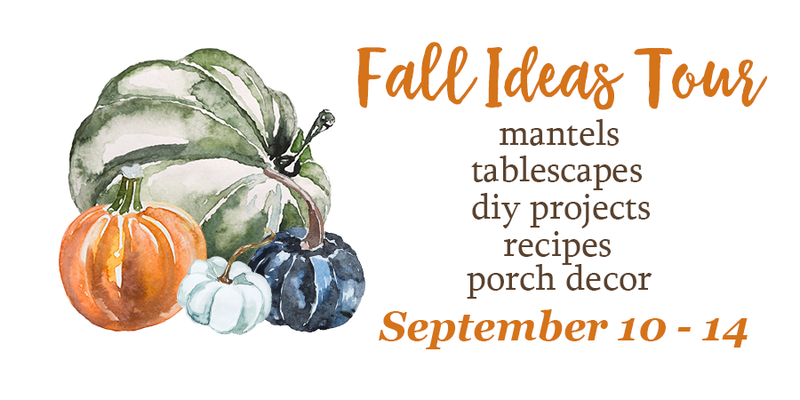 All week our group has been sharing Fall decorating ideas, recipes and DIY’s . See the bottom if this post for all the participants and some great ideas! Thanks to Angie from Postcards from the Ridge for hosting this fun tour! 1. Decorate the door- Small porches don’t have a lot of floor space but they do have vertical space on the door. Don’t forget about this important area. A small wreath or basket proportional to the space will pretty it up without making it too busy. 2. Add visual interest with a rug- You don’t need to use a small door mat, use as large of an area rug as you can fit. 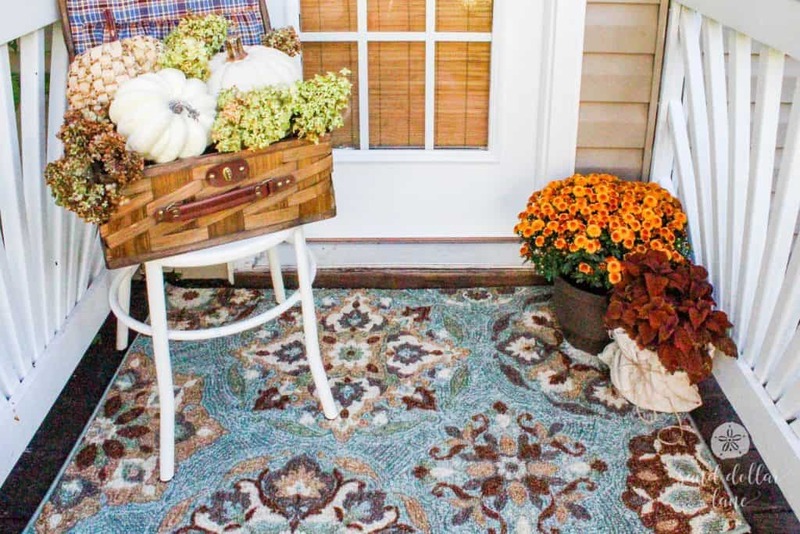 This rug adds color and visual interest without making the porch look crowded. Because it’s smaller, it’s also affordable! 3. Don’t overcrowd your space- Too many small items make an area look crowded and busy quick! Just a few items is enough to dress up a small porch without overwhelming it. 4. Use coordinating accessories- Similar items help move the eye around your space. The blue and rust colors in the basket pull your eye from the blue and rust colors in the rug. The green hydrangeas in the door basket pull your eye from the basket on the chair. Too many different accessories and color combos will make your space confusing and hard on the eye. 5. 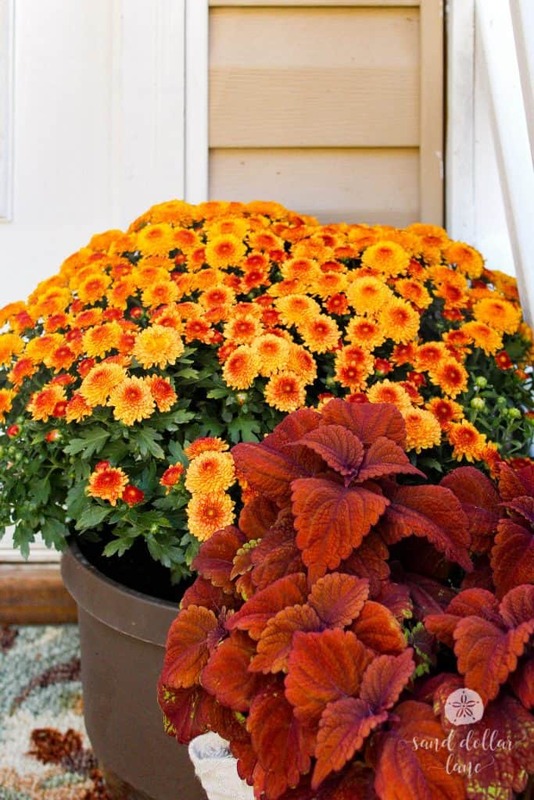 Move off the porch- Place a large flower pot, lantern or other larger accessory just off the edge of the porch. This will make the area seem larger and more open. 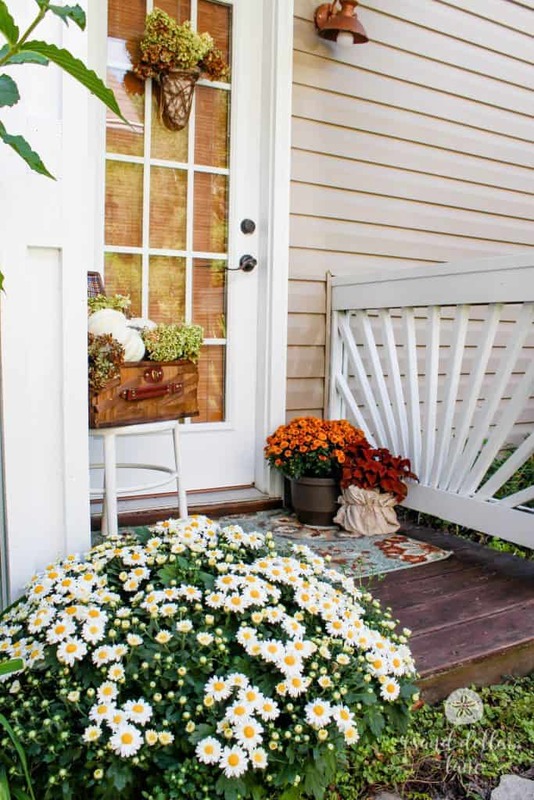 I hope these tips gave you some inspiration to help decorate your small porch for Fall. Tag us on instagram so we can see your Fall decorations! 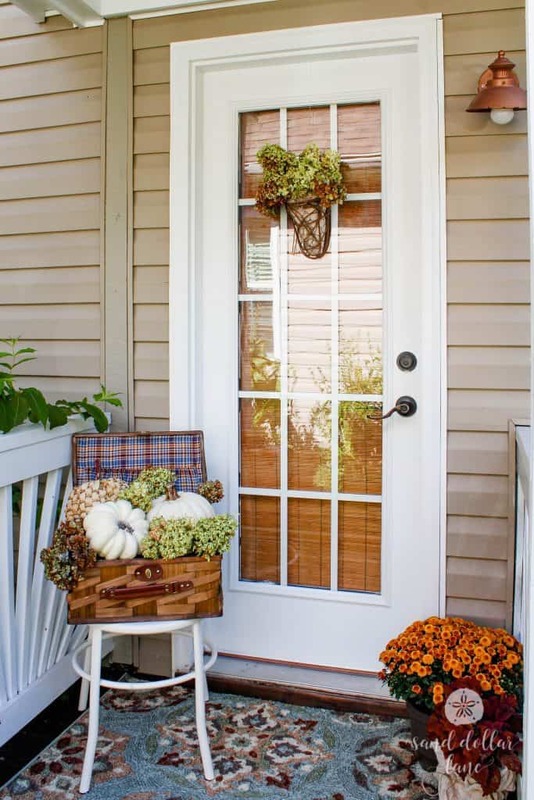 Need ideas for decorating a larger porch for Fall? Check out our Coastal Style Fall Porch from last year. Your porch looks great Leen. I love the dried hydrangea. Just picked some to bring in for the fall myself. 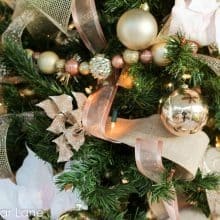 Your tips are spot on and could be used in so many decorating situations and are a great reminders too. Your porch looks so pretty! 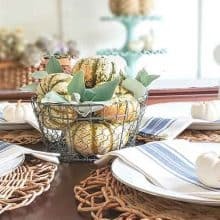 I love how you filled your picnic basket with Hydrangea and pumpkins. That looks great on your chair. Your porch is so pretty! Love the picnic basket filled with pumpkins and hydrangeas. I hope you are safe, my friend. You have definitely been in my thoughts. Hugs and prayers to you! Your porch is so pretty, Leen! I love all the bold colors. So warm and welcoming. 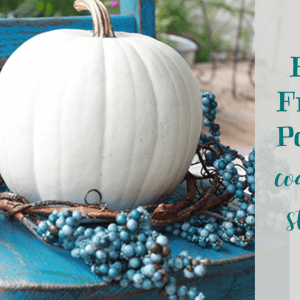 I love your Fall decor tips! I also love the idea of using a larger rug for in front of the door, how smart! I hope your pretty porch is good to go when you make your way back home again, goodness such a stressful time! So pretty! I love your basket full of pumpkins and flowers! I love your fall porch! It’s so inviting! The entire space is absolutely lovely, but I truly think the rug makes the whole space come together! Absolutely beautiful. 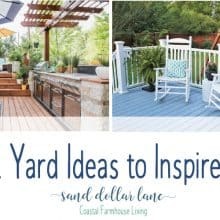 Lots of pretty ideas here. All that beautiful color really makes the porch fall ready! 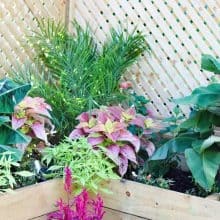 Love these tips and ideas for a small porch, Leen, especially the part about putting something just off the porch. I need to put a plant on the top step of my wee landing! Pinning to two boards! Your porch is so cozy and pretty. 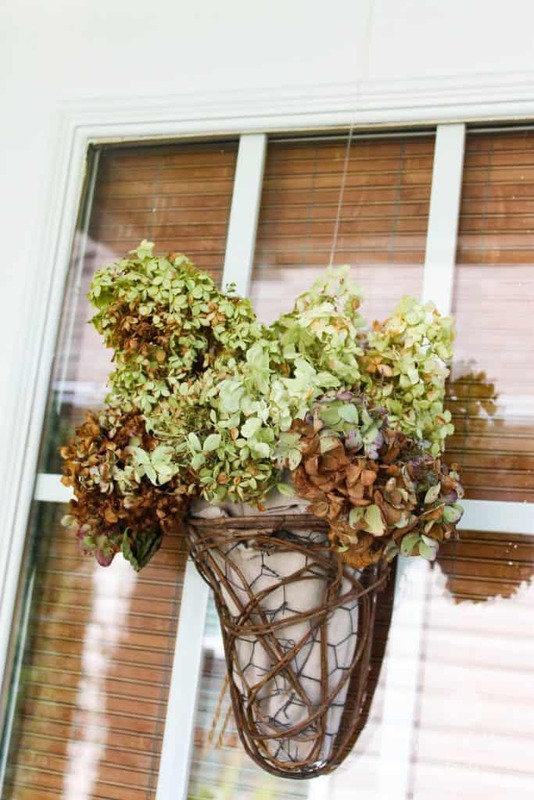 I adore the dried hydrangeas in the basket. What a clever idea! And I would have never thought about an area rug. It looks so pretty. I hope you’re able to get back home soon! Thanks so much for joining the tour. Love your porch dressed in its fall finery, Leen! All of your tips were spot on and I’m loving the basket on the door! And the rug adds the perfect pop to pull it all together.